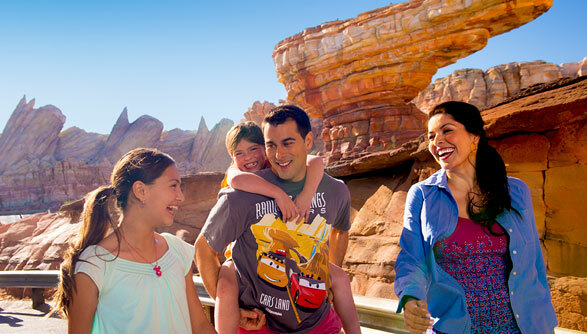 The Disneyland® Resort is made up of two theme parks, three hotels, and a dining, shopping and entertainment district. The Disneyland® Resort is home to the original Disneyland® Park as well as Disney California Adventure® Park. The theme parks of the Disneyland® Resort offer incredible attractions, one-of-a-kind entertainment, intricate theming and so much more. Disneyland® is the classic park that Walt himself created and features eight distinct lands. Disney California Adventure® Park originally opened in 2001, then celebrated a grand re-opening with new attractions and re-theming in June 2012. Admission is required to access the parks at the Disneyland® Resort. The best ticket option is a Park Hopper® Ticket, which allows admission to both Disneyland® Park and Disney California Adventure® Park on the same day. If Disneyland® Resort Park Hopper® Tickets are not purchased, individual admission to each Park is required for same day admission. Three fantastic hotels are also part of the Disneyland® Resort; Disney's Paradise Pier® Hotel, The Disneyland® Hotel, and Disney's Grand Californian Hotel® & Spa. Each Disney Hotel is located on-property at the Disneyland® Resort and offers unique theming, comfortable accommodations, exclusive perks, and most importantly, Disney magic all around. Disney's Paradise Pier® Hotel features a Boardwalk Beach theme and is the most affordable of the Disney hotels. The Disneyland® Hotel pays homage to the original Disneyland® Park and is steeped in fantasy and adventure. Disney's Grand Californian Hotel® & Spa is considered the grandest of the three Disneyland® Resort hotels. It is the only hotel of the three that is located inside a Disney theme park and has a private entrance into Disney California Adventure. Although an opening date has not been announced, and ground has not yet been broken, a fourth hotel is going to be built inside the Downtown Disney District. Each of the Disneyland® Resort hotels also offers Disney Character Dining experiences on-site. You do not have to stay at one of the Hotels of the Disneyland® Resort to enjoy Character Dining, but it is very convenient when you do! The Downtown Disney District features plenty of dining, shopping and entertainment options. 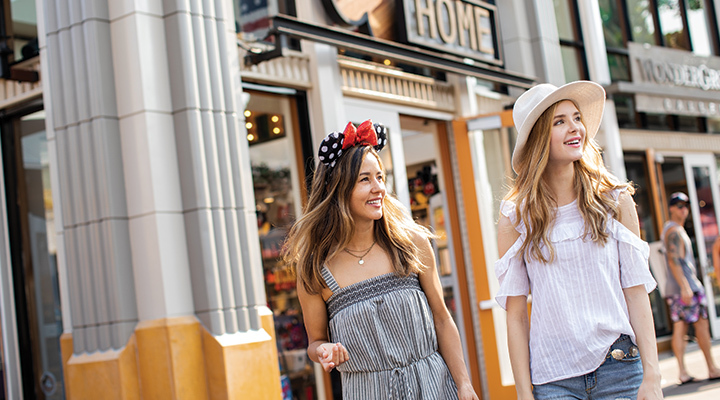 The World of Disney Store, Sprinkles, Splitsville Luxury Bowling and Ralph Brennan's Jazz Kitchen are just a sample of what's in store at the Downtown Disney District. Admission is not required to for the Downtown Disney District and you can get parking validation at select table service restaurants. You'll want to make sure that you allow plenty of time to experience all that there is to do at the Disneyland® Resort. We recommend at least a three day Park Hopper, but suggest even longer for a more flexible visit. There is so much to experience at the two DISNEYLAND® Resort Parks. Fun and unique experiences await at DISNEYLAND® and DISNEY CALIFORNIA ADVENTURE® Park. The DISNEYLAND® Resort Hotels are the most magical way to experience a DISNEYLAND® vacation. 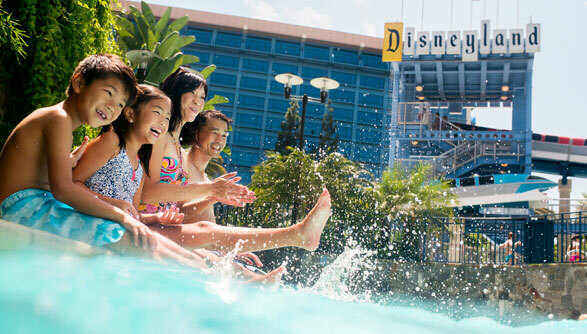 Decide which of the DISNEYLAND® Resort Hotels is best for your family. The Downtown Disney District offers unique experiences, delicious food, fun shops and live entertainment.